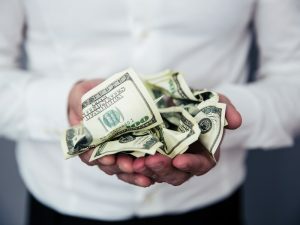 Alimony & Spousal Support Category Archives — New Jersey Divorce Lawyer Blog Published by New Jersey Divorce Lawyers — Aretsky Law Group, P.C. People’s financial and medical situations change. Some of these changes lead to the need to modify an alimony agreement. In July 2017 the Superior Court of New Jersey, Appellate Division, heard a case on appeal from the Superior Court of New Jersey, Chancery Division, Family Part, Camden County. It involved an ex-husband’s request for a reduction in alimony based on a change in circumstances due to the loss of his job. The Family Part judge had refused to grant the modification. The case in question was Beden v. Beden. Mary Beden and Lance Beden had been married for about 30 years when they divorced in 2010. Their property settlement agreement stipulated that Lance would pay Mary $800 per week in permanent alimony. This alimony was to stop only upon the death of either party or the event of Mary’s remarriage. Lance fell behind in his payments, and in October 2014 Mary went to family court to have his alimony obligation enforced. The judge ordered Lance to pay what he owed and to sell the marital home the couple had shared in order to meet his obligations. Lance did not appeal this decision but neither did he comply. Your Ex-Spouse Accepts a Lower-Paying Job! Now What? Suppose that for the past three years you have been receiving a certain amount per week in alimony. Next suppose that your ex-husband loses the job he held for twelve years. Further assume that he accepts a lower-paying job. Now imagine that you are the one who has been making the payments. You lost a job that you held for years and after a difficult search, you are offered a job that pays a lot less than you had been earning. You might feel as though you are in a no-win situation. If you accept the lower-paying job, you may be criticized for not trying harder to get a job more comparable to your previous one. On the other hand, if you refuse that job and do not get another offer of employment in a timely manner, you might be admonished for not accepting the first opportunity.